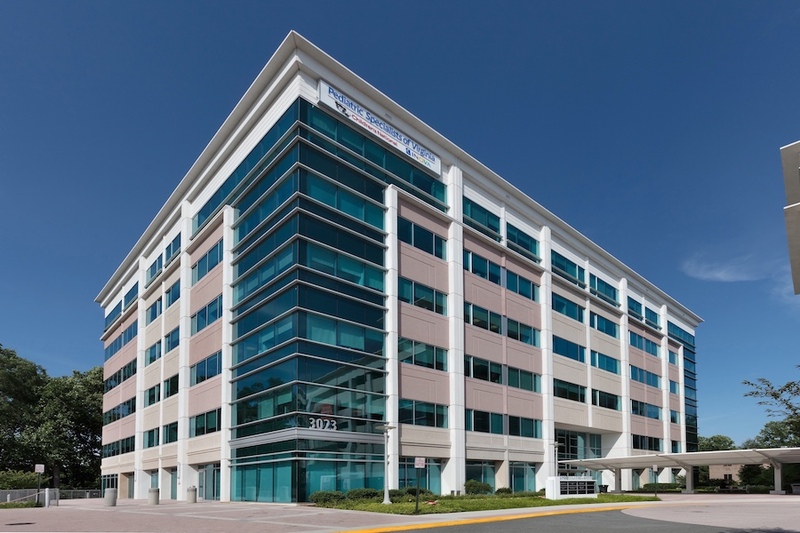 Harrison Street Real Estate has purchased the 119,788-square-foot Merrifield-Fairfax Medical Campus in Fairfax for $62.5 million. Avison Young, which brokered the sale, announced it on Wednesday. The building at 3023 Hamaker Court is located near the campus of Inova Fairfax Hospital, the flagship hospital of Inova Health System. Built in 2009, the building is 84.5 percent leased. The largest tenants — leasing two-thirds of the building’s space — are Children’s National Health System and Pediatric Specialists of Virginia, a venture between Children’s and Inova. The offering also included an adjacent site, where a twin 120,000-square-foot second phase has been designed and approved. The property is located at Arlington Boulevard (U.S. Route 50) near its interchange with the Capital Beltway (I-495). It’s also within walking distance of the mixed-use Mosaic District and 1.7 miles from the Dunn Loring Metro station. “We were very pleased to generate significant interest from investors worldwide — including those who normally do not invest in medical office buildings,” Jim Kornick, a principal in Avison Young’s Washington, D.C., office said in a statement. The Avison Young team also included Principal Chip Ryan of the Washington office, and three members of the firm’s Chicago office. All are members of an Avison Young Capital Markets Group that specializes in health-care investments.